Whomp whomp. There're no Archangel Micheals for sale. The warrior mask is a really cool part of it, as it is built into the face. 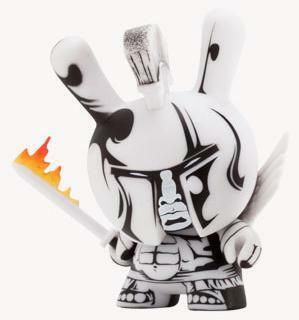 Also, the flaming sword give a good color contrast to the otherwise monotonous Dunny.